The latest QWERTY powerhouse from BlackBerry is now available in Globe’s Business’ Best Postpaid deals. This promo is suitable in powering small to medium business enterprises. For only P1,499 a month at Plan 999 with P500 monthly cashout, get unlimited internet access to browse through the internet and send business e-mails, as well as all-network calls and texts to keep you connected with partners and employees. The first BlackBerry 10 smartphone features a classic physical and re-engineered BlackBerry QWERTY keyboard which has a wider layout and larger sculpted keys and stunning touchscreen display for viewing files and making video calls. It also has a longer battery life to keep up with your day-long business activities. Avail of the BlackBerry Q10 from Globe Business and get full technical assistance to sync BlackBerry Q10 smartphones with your company’s current e-mail platform via Microsoft ActiveSync, as well as guidance on procedures to upgrade to BES 10 free of charge until yearend. 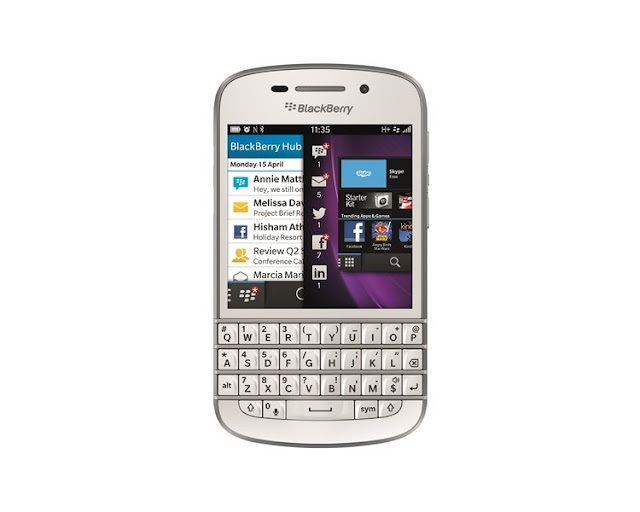 The BlackBerry Q10 is a classic-designed device with the traditional QWERTY keyboard. It's 3.1-inch Super AMOLED screen is framed by an edge-to-edge glass. Not to mention that it sports a 330ppi in 720 x 720 p resolution, this little puppy will certainly cure you visually-demanding eyes. Just like Z10, this handset is also equipped with 8MP rear and 2MP shooter. The 16GB storage with expandability options wont keep you at bay.